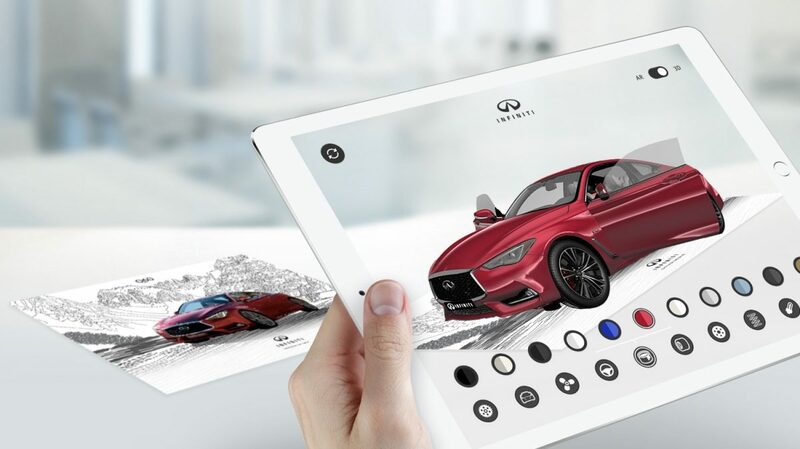 The INFINITI Q60 Augmented Reality app lets you explore the revolutionary INFINITI Q60 in a whole new way – with both 3D functionality and AR mode. 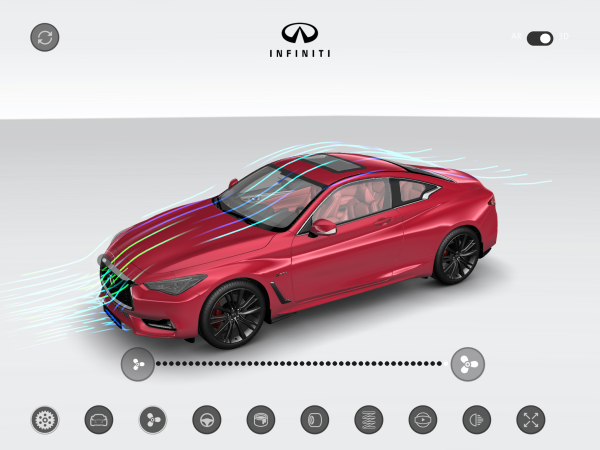 See how the sharp lines direct airflow, discover the innovations behind the incredible performance and then choose from a range of finishes to create your customised INFINITI Q60 – ready to share on Facebook, Twitter or Instagram. Take a look at the inner workings and explore the all-new 405 horsepower 3.0 litre V6 twin-turbo engine. 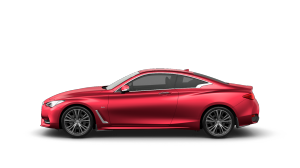 See how the INFINITI Q60 is designed to offer exceptional aerodynamics at both high and low speeds. Discover how Dynamic Digital Suspension works with Direct Adaptive Steering to ensure exceptional agility and comfort on every drive. Explore every daring curve and deep groove of the INFINITI Q60 and get a feel for its bold design. 1. 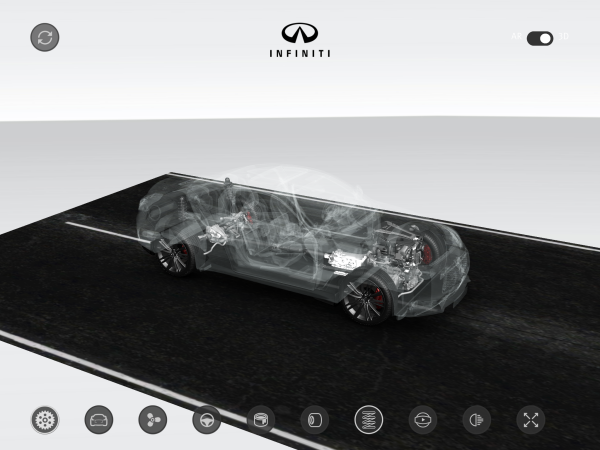 Download the INFINITI Q60 Augmented Reality app from the App Store or Google Play. 2. Print out our AR app marker below, then open the app on your device. 3. 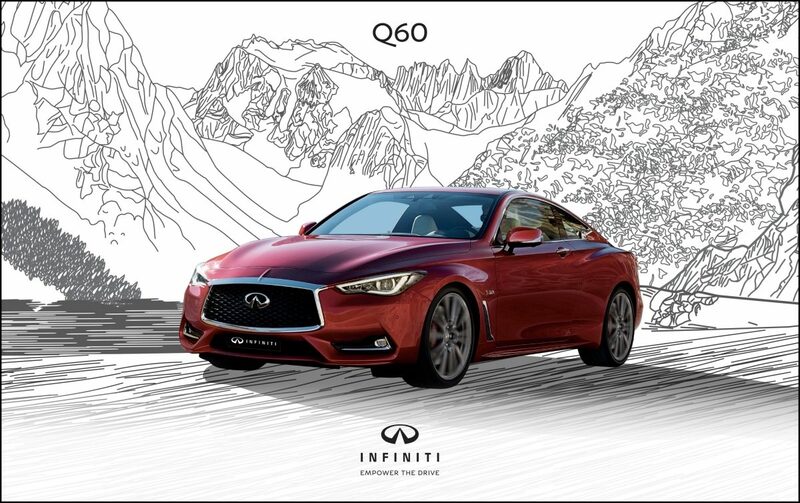 Point your smartphone or tablet's camera at the marker and start exploring the INFINITI Q60. 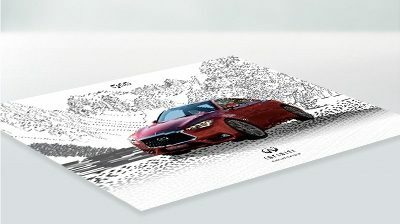 Download and print this image to start exploring the INFINITI Q60 in Augmented Reality. "Authorised Dealer” means a member of Infiniti’s authorised dealer network in Europe. “Infiniti” means the Infiniti Europe division of Nissan International SA, with registered address at Zone d’Activités La Pièce 12, 1180 Rolle, Switzerland. Nissan International SA is a group company of Nissan Motor Co., Ltd. of Japan. “Cookies” mean a small data files created by our App that is stored on your computer’s hard drive. “Personal Data” means data on any identified natural person using this App as described in the Swiss Data Protection Act of 1992. “App” means the Infiniti App. “Swiss Data Protection Act” means the Swiss Federal Act on Data Protection of June 19, 1992. "Third Party Providers” mean third party agents providing services to Infiniti subject to an agreement. The following Terms govern the use of this App which is owned and operated by Infiniti. By entering this App you agree to be bound by these Terms. If you do not agree with these Terms, please do not use this App. Infiniti reserves the right to modify these Terms at any time, so please check them regularly. You use the App entirely at your own risk and Infiniti makes no warranty of any kind on the use or the content of this App which is provided “as is”. 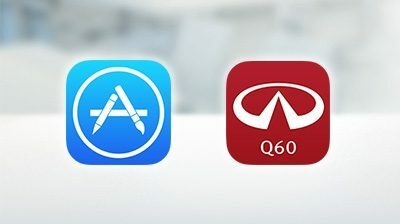 Infiniti makes no guarantee that this App is free from bugs, errors, viruses or errors that may affect your computer. Infiniti makes no guarantee that all of the information is current on the date that you view it. 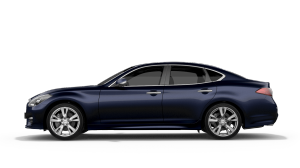 Except for liability arising out of Infiniti’s unlawful intent or gross negligence in relation to these Terms, Infiniti is not responsible to you for any loss that you might suffer as a result of using this App. In particular, in no event shall Infiniti be liable for any indirect, incidental, consequential or special damages or losses, including loss of data, use or profits even if Infiniti has been advised of the possibility of such damages. All Intellectual Property Rights relating to this App and its content are either the property of, or used with permission by, Infiniti. You must not copy, publish or modify anything on the App or re-sell any of the information that you have viewed or printed from it without Infiniti’s permission. 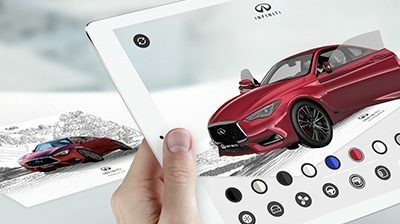 You are granted the right only to view the App and print material from it for your personal use and/or for you to make informed decisions about Infiniti’s products. 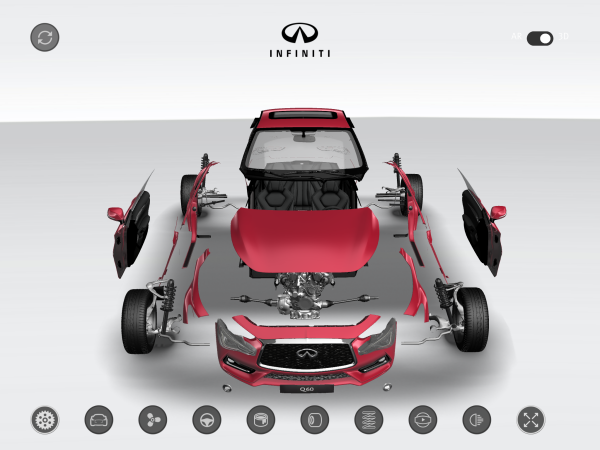 Infiniti is striving constantly to improve its products. Accordingly all information on this App is subject to change at any time. The availability, specifications, models, prices of any items on this App are provided for general information purposes only and may be subject to restrictions or may not be current at the time you view it. Please contact your nearest Authorised Dealer, or if you are a fleet customer your Infiniti fleet manager or authorised dealer (as the case may be), for the most up to date information which may vary from those on this App. Because of the nature of technology, the colours shown on the App may not match the actual colours. Where prices are shown, as “basic” or “total retail”, they include delivery to an Authorised Dealer and number plates. This App may contain links to third party Apps which are completely independent from this App. In no event shall Infiniti be responsible of the content, use or availability of any such third party App. Links to any third party App are provided for your convenience only with no guarantee whatsoever from Infiniti. Any third party links to this App must be subject to prior written approval by Infiniti. Upon your request, if you need to contact Infiniti for any privacy issues, including without limitation to exercise your rights of information (right of access), correction, blocking, suppression or deletion of your Personal Data or to enquire about the purposes of storage of your Personal or the recipients of your Personal Data, please contact Infiniti Europe. 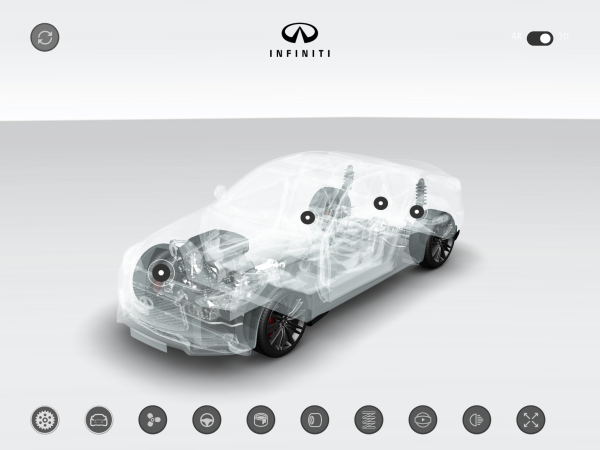 You agree that Swiss law governs your use of the App and your relationship with Infiniti. The provisions set out in these Terms apply to anyone who accesses this App regardless of their place of residence. Unless otherwise stated, these provisions apply to all services and information disclosed on the pages of the App. Infiniti will require your consent any time we collect your Personal Data on this App. Your Personal Data will be used for Infiniti’s business purposes only, which is the marketing of the sale of Infiniti cars and associated products and services. By sending your Personal Data to Infiniti, you agree that Infiniti can process your Personal Data for the purposes you provided them. Infiniti will keep and use your Personal Data (and any other information which it may hold about you from time to time) now and in the future (i) to provide you with the agreed goods and services you requested, (ii) to provide you with information on products and services which may be of interest to you and (iii) for the purposes of conducting market research. In accordance with the Swiss Data Protection Act you may apply to see what Personal Data Infiniti holds in respect of you. Please contact Infiniti for further details as stated below. 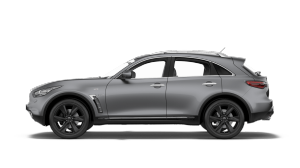 If you are an existing customer, Infiniti is allowed to go on using your personal information in order to administer its relationship with you. An example might be that you have a contract of lease or hire. Infiniti will only store your Personal Data only for as long as required to fulfil the purpose for which you provided your Personal Data. 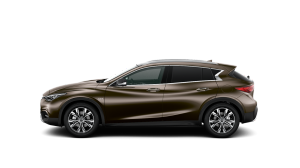 Notwithstanding the foregoing, Infiniti may be legally obliged to keep your Personal Data on file after the end of the transaction which led to the collection of your Personal Data. Infiniti will take all technical and organizational security measures to ensure your Personal Data is kept securely to protect your Personal Data against accidental or unlawful destruction or accidental loss, alteration, unauthorized disclosure or access, and which provide a level of security appropriate to the risk represented by the processing and the nature of the Personal Data to be protected. Technological advances mean that safety measures are in place and will continue to be improved to safeguard you and your privacy. 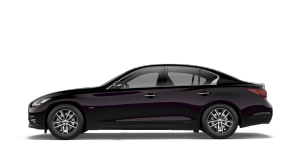 By sending your Personal Data to Infiniti, you agree that your Personal Data is not confidential to Infiniti, Authorised Dealers in your country of residence, the Infiniti group of companies and its Third Party Providers. 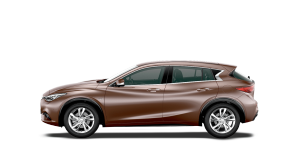 Infiniti will ensure Authorised Dealers in your country of residence, the Infiniti group of companies and its Third Party Providers have the appropriate technical and organization measures to maintain the confidentiality and security of your Personal Data. Only authorized personnel of Infiniti, Authorised Dealers in your country of residence, the Infiniti group of companies and Third Party Providers with a duty of confidentiality which persists after the termination of employment may collect, process or access your Personal Data.